On the third week of muffins, I decided I wanted to do something a little more fun. 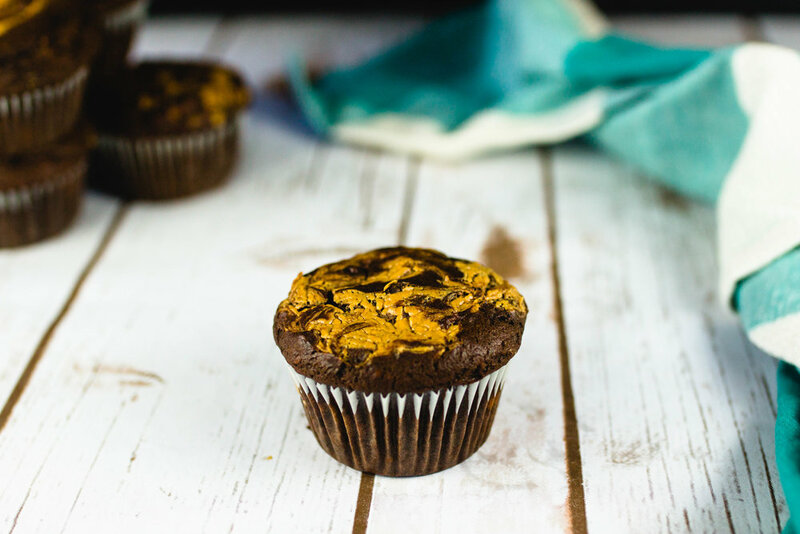 A chocolate, peanut butter, and banana muffin. It is so good. 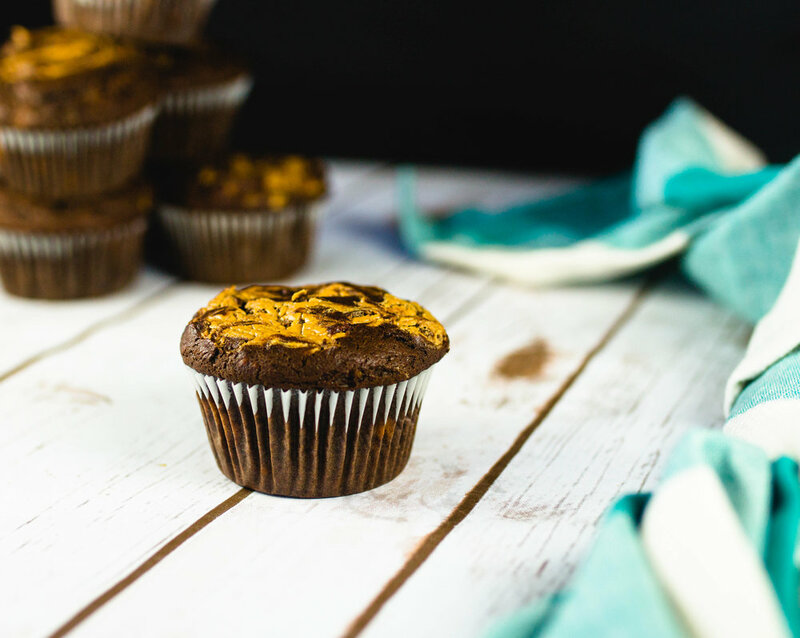 You get a subtle hint of the banana with chocolatey, peanut buttery goodness! 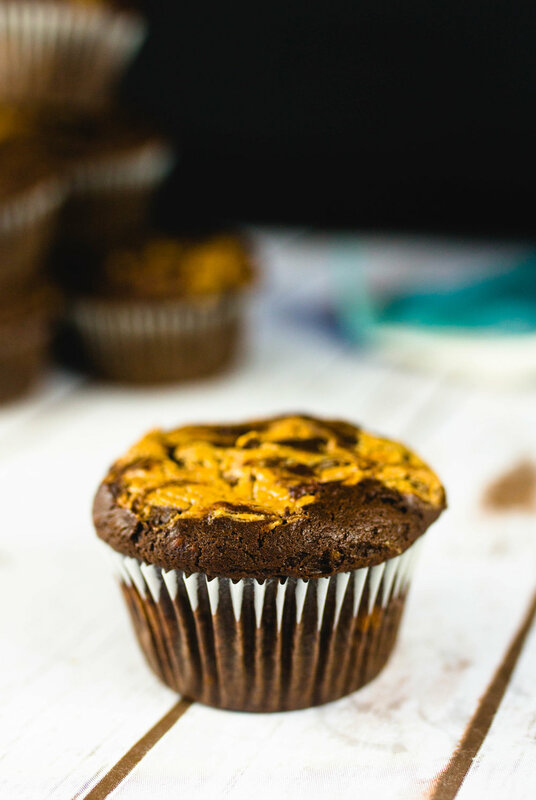 This is probably one of my most fun muffins, the chocolate, and peanut butter really bring the banana sponge to a new level. It’s almost like a brownie that you can have for breakfast. I made these for my family yesterday and I swear to you that they are almost gone now! It’s been rainy the last couple of days, when I was thinking of what muffin to make, I wanted something that matched the weather. Something dark and a little mysterious. That’s what I really got. The banana is hidden and you forget it’s there when you look at the beautiful muffin, but then you take a bite and there it is! There hasn’t been much going on in our house. My best friend gets here in less than a month, so that’s exciting! B is growing like a weed, must be all the food we feed him. I took B to his first food truck park, which meant something to me since I worked on food trucks once upon a time. I got this amazing poke dish that makes me crave it even more now. Do you have something fun like this where you live?